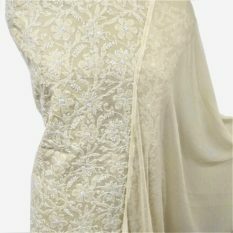 Lucknow Chikankari is an Art of transforming plain cloth into flowing yards of Magic unraveled by one of the finest embroideries of the world. 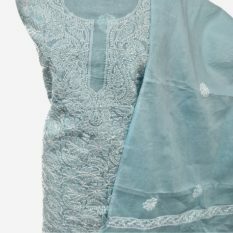 Following properties indicates finest Chikankari work, Thinner the tread finer the embroidery, small and even embroidery on the backside of the fabric and five derivatives and seven stitches to form an embossed shape for each design. 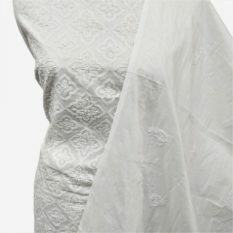 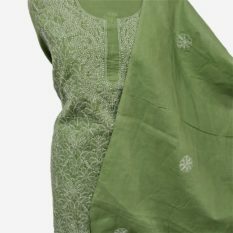 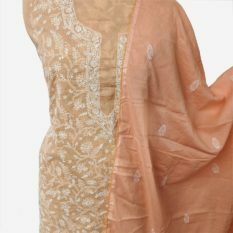 The technique is of ‘Chikankari’ invokes vast process which includes designing, engraving, embroidery, washing and finishing of the final product. 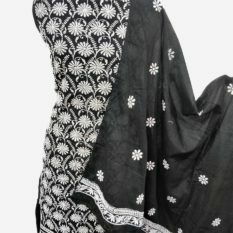 The Artwork is unique to Lucknow and is the soul of its people.